Home / Index category / FRENCH INFLUENCE FOR TROPHY: Kentin Mahe to Telekom Veszprem? 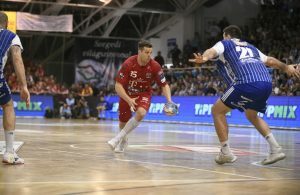 FRENCH INFLUENCE FOR TROPHY: Kentin Mahe to Telekom Veszprem? Do Veszprem need French charm to become the TOP team in Europe? Obviously someone think about it as after William Accambray, another member of golden French generation in the last few years, Kentin Mahe, is on the way to the handball city just near famous Balaton Lake! The 25-years old Frenchman, who can be both useful on left wing and playmaker’s position, will move to Veszprem at the end of his deal with German SG Flensburg in summer 2018, according to Handball-Planet.com sources. 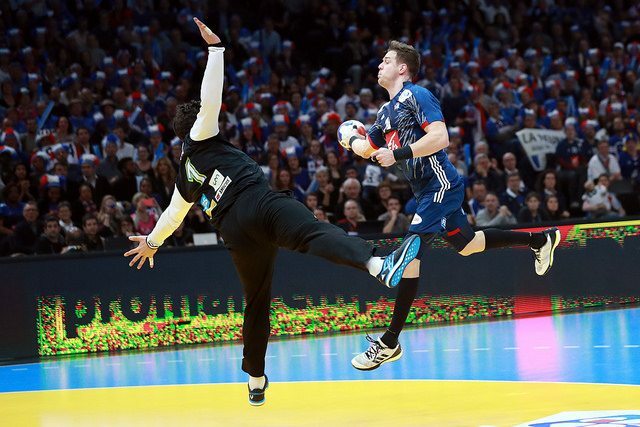 The winner of the French gold at World Championship 2017 made a deal with the Hungarians even before it was clear that his current coach Ljubomir Vranjes will overtake, the two years in a row, reigning EHF Champions League runners-up. After Balkan profile, and then Spanish, it looks that time comes for Veszprem to get some mix of Scandinavian-French way of playing and mentality? Kentin Mahe came to SG Flensburg in 2015 since became clear that HSV Handball couldn’t cope with financial problems. He played in Hamburg between 2013 and 2015, VfL Gummersbach in period 2011-2013, while his first Bundesliga station was Dormangen, where he became proffesional as 17-years old boy in 2008. In Dormagen, his father Pascal was a coach. ← Previous Story Meshkov Brest beat PICK Szeged for knock-out stage! Next Story → EXCHANGE: Kopljar to replace Tonnesen in Berlin!